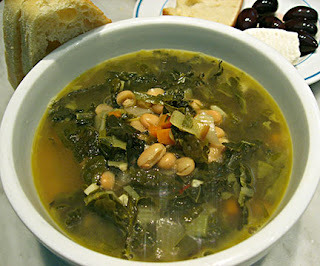 Greens and Beans Soup is a particularly welcome recipe because its ingredients are not cast in stone. If I don’t have kale, I make it with Swiss chard or spinach (although I add these tender greens later in the cooking process than I do kale). Yes, this is very similar to our family's recipe :)Thanks for stopping by my blog.